The speakers feature a wooden cabinet and an LED display, with LED lights. 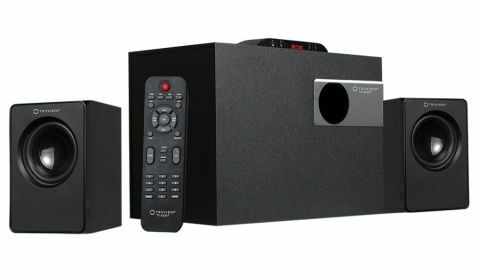 Truvision has launched its latest 400BT Multimedia Speaker in India priced at Rs 2,999. The 2.1 channel speaker features multi-directional audio and has 20 Watts RMS with one 4-inch bass driver for subwoofers. Multimedia laptop with good hardware.